The Minister of Public Enterprises, Mr Pravin Gordhan, and the Chairman of the Eskom Board, Mr Jabu Mabuza, are addressing the media on Eskom and the current electricity supply problems. The joint briefing is taking place in Rosebank. 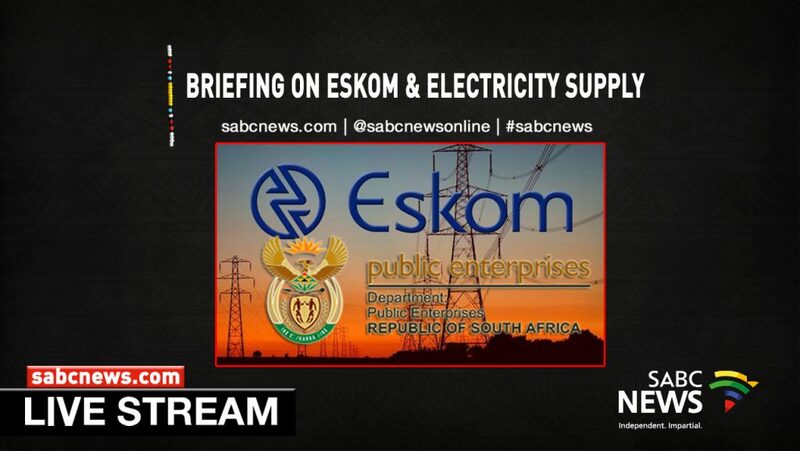 The post WATCH: Eskom joint media briefing appeared first on SABC News – Breaking news, special reports, world, business, sport coverage of all South African current events. Africa's news leader..